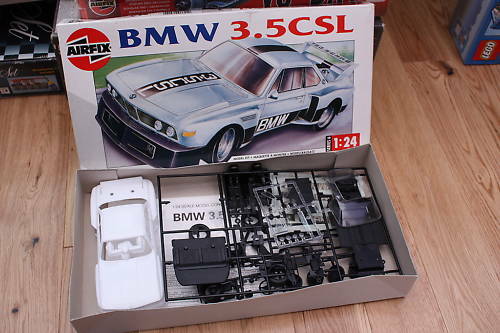 Superb engineering, German style, produced the outstanding be-finned BMW 3.5CSL. Nicknamed Batmobile, these high-performance road-turned-race cars scooped major prizes at motor sport events in the mid-seventies. In 1:24th scale this model has a length of 170mm and an exciting selection of parts and decals.